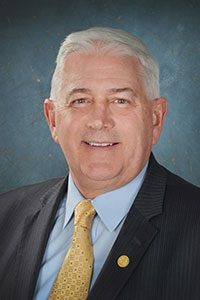 LANSING, Mich. — Sen. Ken Horn, R-Frankenmuth, announced on Thursday he will join Sen. Margaret O’Brien, R-Portage, to discuss a recently introduced legislative package designed to combat sexual assault. CAN Council President Suzanne Greenberg. A press conference to discuss legislation aimed at combatting sexual assault. Monday, March 12 at 3:30 p.m.
Horn and O’Brien will be discussing a recently introduced legislative package with Saginaw-area officials. The 10-bill package seeks to curb sexual assaults and would also increase protections for survivors under the law.